On my way home from school, I often stop at a bakery to buy bread. I’ve always been curious about the woman who makes the bread. She looks about thirty-seven and I wonder how she does this job, working from six in the morning to seven or eight at night, baking through the hottest days of the summer, and also cooking for her family. One day I asked her. She told me that she has worked as a baker for fifteen years and that she is the only person in her home with a job. When she was seventeen, her father gave her to the man who is now her husband. He does not work. The woman said that her husband would force her out of their home if she did not work. In contrast to this story, I see many things about working women that make me proud to support the cause of women’s rights in Afghanistan. I see women in our schools, from teachers up to the principal. These are educated women working to create more educated women. In Afghanistan today, we have well known women’s rights advocates like Sima Samar, who is now Afghanistan’s Independent Human Rights Commissioner, and presidential candidate Fawzia Koofi. But still, Koofi is insulted by people who don’t believe that a woman can serve as president, and Samar has been threatened with death and harassed for her work. For every woman treated with respect by the government, there are ten women rejected just because they are women. A country in which half of the population is allowed to diminish the other half is like a body where disease in one part destroys the rest. Women are still the most vulnerable in our country. When the Taliban came to Afghanistan, they wanted to control people’s knowledge so they broadcast propaganda and put policies in place that kept children out of school. Now, everything that is said by those in power—about religion, politics, and society—goes unquestioned by a population of illiterate people. Many girls are still forbidden from going to school. They are locked in their homes and forced at a young age into abusive marriages. Sometimes they are killed by their in-laws. When a girl is born, people say it is a sad occasion. When a girl goes to school, people say they make society dirty and that girls are a source of corruption. Violence is directed at girls who attend school. How can we expect our country to move forward when half of its society is suppressed and silent? There will be no progress in Afghanistan until women are a part of Afghanistan. We must wake up and change this backward country into a developing country. “Everything that is said by those in power… Goes unquestioned by a population of illiterate people. “. What a clear view of both the plan of those in power and also of those who can wrest control by becoming educated regardless. So full of hope and power! Thanks for sharing, Arifa! Proud of you and your courage to stand out and speak. I hope you will be the next Sima Samar who will nurture further more Sima Samars. This essay deserves to be read aloud – with a microphone – in front of a stadium of people. You’re such a good writer, and you present the reality of Afghan women so well. I understand from how you write this that women are still dependent on husbands, on the shifting sentiment of the political landscape. Thank you for having us meet the baker. Thank you for having us meet you through your writing. If every thirteen year old girl was as brave and smart as you this world would be a much better and fairer place. You are a gift to your county and I can’t wait to see what you do with your life. Everyone who reads your work will be as touched and motivated as I am. Every girl is a gift and every parent should be thrilled to have a daughter! You will help them see this. I too am also 13, and though we are still both young in age, we have much power and potential. As I was reading your inspirational story, I imagined a college student at Harvard or Yale, sitting by her computer, recording her story. Your essay was very influential. When I read about the unfairness to breadmaker, I was too shocked by the craziness of it’s unjust to speak, and when I found that women were not treated equally due to only their gender I was extremely angered. Keep up the amazing work! I find it sad that people in the world are still held back because of race, religion, and especially gender. There is absolutely nothing wrong with women, and discrimination by gender is unacceptable. There are already plenty of women that have showed just how influential and successful a woman can be, including people such as Oprah Winfrey and Hillary Clinton. I hope that one day, you can be among them. 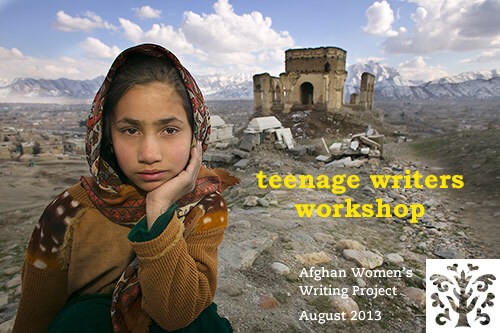 The essay that you wrote gave me a better insight of what was happening to girls in Afghanistan. I do agree with you; women should be treated equally and fairly. Keep writing and one day, you may change the world with your words. “The pen is mightier then the sword.” ~Unknown. This exellent essay made me relieze how lucky I was, and I truly felt sorry for every girl or women who is in this situation. I just want to say that it is not sad at all when a girl was born. And I think it is our human rights to go to school. Girls should not be turned down when they go to school! Keep on writing becuase your word does make a difference! As a girl not born in countries such as Pakistan or Afghanistan, I was given the education without a second thought. I never really liked learning in school, but after reading your essay, I realized how lucky I was and I wasn’t very grateful, even though I thought I was. I just need to tell you, that it is wonderful when a young girl is born. Her life is filled with many different paths she can take, and so is yours. This one piece of your writing has inspired me and a lot of others- just read the number of comments! If you keep writing, your voice will be heard, and eventually inspire the world to make a difference. ”When a girl is born, people say it is a sad occasion. When a girl goes to school, people say they make society dirty and that girls are a source of corruption. Violence is directed at girls who attend school.” !! When you these two lines in your story it makes me feel so sad about the population of girls that are born in Afghanistan around about that time, the two lines show me how much girls have been born and raised to follow commands and be slaves in following any mans commands that steps into their life! Girls/women should be allowed to live the free life that a normal girl would have and have the right to have a say in what they can and cant do, so that its not just up to the man that in their life. but I am realizing that there are most unfortunate people than me, which i need to be grateful for every second. This is such a contrast in comparison to where I live, where education for girls is made a priority, as it is for boys. This is such an impressive essay, filled with many facts that open my eyes to the real situations that happen everyday in this world. Keep hope and Faith Arifa, there may come a day when women all over the world are respected for all that they are.